Baby, it&apos;s cold outside! But that doesn&apos;t mean you should stay in. Our last Weekend Primer of 2016 has everything you need to fill this upcoming weekend in Hendricks County with color, flavor and fun. 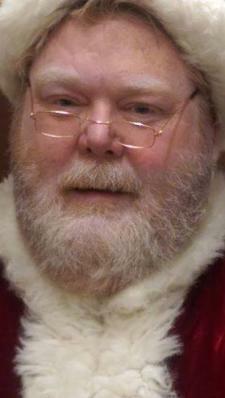 Two separate sensory Santa events will take place in Avon on Saturday. Families with children with special needs are invited to attend a free holiday event from 1-4 p.m. Saturday at the Bierman ABA Autism Center inside the Hendricks Regional Health YMCA, 301 Satori Parkway, Suite 150 in Avon. Upon arrival, a private time with Santa will be scheduled with no lines. While you wait your turn, watch a holiday movie, enjoy the sensory table activities, a hot chocolate bar, photo booth, cookies, crafts and more. Pre-register by visiting the Bierman ABA Autism Center Facebook page. That same day, Washington Township Parks will host its annual Sensory Santa who will visit with children who have sensory needs. Visits will take place at the Pavilion Center at Washington Township Park and families will be allowed their own, private 15-minute appointment with Santa. Fees are $10 per 15 minute time slot. For more information and to reserve your time, check here. 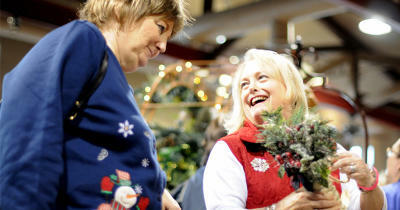 Frazee Gardens is a hot spot for holiday shopping, but it will be even hotter from noon to 4 p.m. Saturday. Santa will stop by for free photo opportunities and visits with children. Be sure to bring your own camera. This event will include photo opportunities with Santa, cookie decorating, face painting, a bounce house, music, games and more from 11 a.m.-1 p.m. Saturday at the Richard A. Carlucci Recreation & Aquatic Center in Plainfield. You do not have to be a member of the recreation center to enjoy this event. On the third Saturday of each month, local small businesses gather and open up shop in a boutique/bazaar like setting. Complete your holiday shopping this Saturday at one location inside the Hendricks County Senior Center. More info here. Here are 10 of the most popular and most visited light displays in Hendricks County. It&apos;s a great weekend to turn up the tunes and delight your eyes. Mended Little Hearts of Indianapolis will host a Breakfast with Santa fund-raiser from 9-11 a.m. Saturday at Crossbridge Community Church, 10070 E. U.S. 36, Avon. Play games, make Christmas crafts, eat breakfast and pose for pictures with Santa. Reservations are recommended by e-mail to mlhindy@gmail.com. Cost is $7/person or $25/household. Free for children under the age of 2. Remember for more things to do anytime, check out the Visit Hendricks County Events Calendar.